We wish you the happiest of Mother’s Day and hope it is spent doing what you love best! I love this day of celebration mostly because I get a chuckle out of watching my husband take on the impossible task of independently feeding and clothing two kids for church and brunch. I can’t help intervening to inform my husband our daughter isn’t wearing shoes or my son yet again took off his dress pants and switched back to pajamas. That’s why Mother’s Day always involves brunch right? Dad’s can’t keep the kids alive and clean all the way to dinner so we have to get the celebration out first thing in the morning! Moms are a special beings because we do it all day every day…and love it. Yes we love the drama, kissing ouchies, sweeping a forever dirty floor, and even dare I say it, changing diapers. We love the chaos because it’s OUR chaos brought to us by OUR kiddos. We love our kids unconditionally and want nothing but the best for their lives. Which leads to my husband getting a chuckle from my Mother’s Day want list. You see the word “want” has lost a lot of value since being a mother. Why waste money on things I want when there are two little humans with a ton of needs. But the funnest part is I actually geek out over baby and house wear items! One of my favorite Christmas gifts this year was an avocado tool. So my husband struggled yet again between finding a balance between getting me something beautiful and getting me something I wanted for our house. 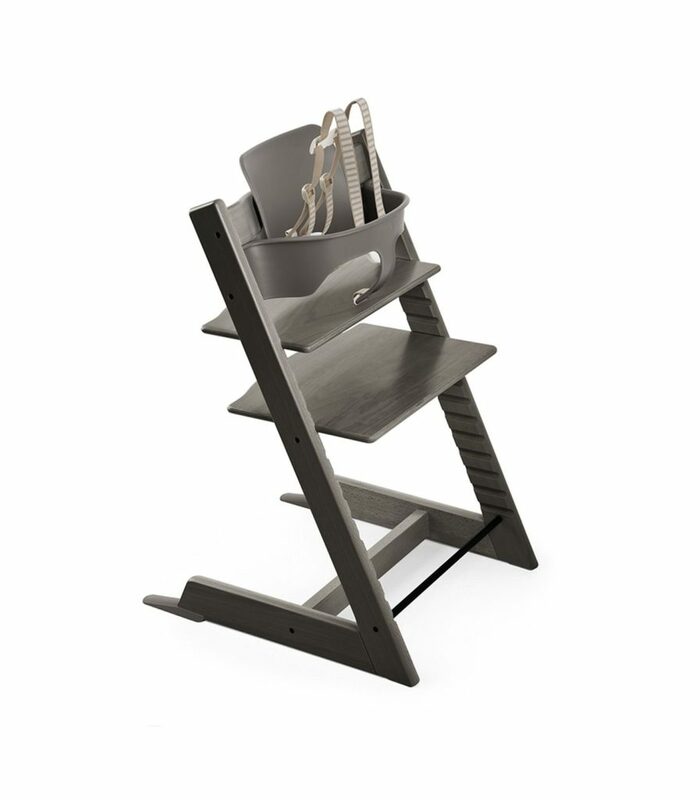 But if you geek out over baby gear like I do, you will agree the Stokke Tripp Trapp Chair is not only practical its a beautiful piece of accent furniture for your home. My family is a huge supporter of family dinners. I think it is important to have everyone in one place at one time with no distractions. Family dinners is also one of the reasons we chose to introduce solids with baby led weaning. We want our children eating what we are eating and engaging in the same healthy habits we choose for ourselves. The Tripp Trapp Chair was specifically designed to fit comfortably against a table. 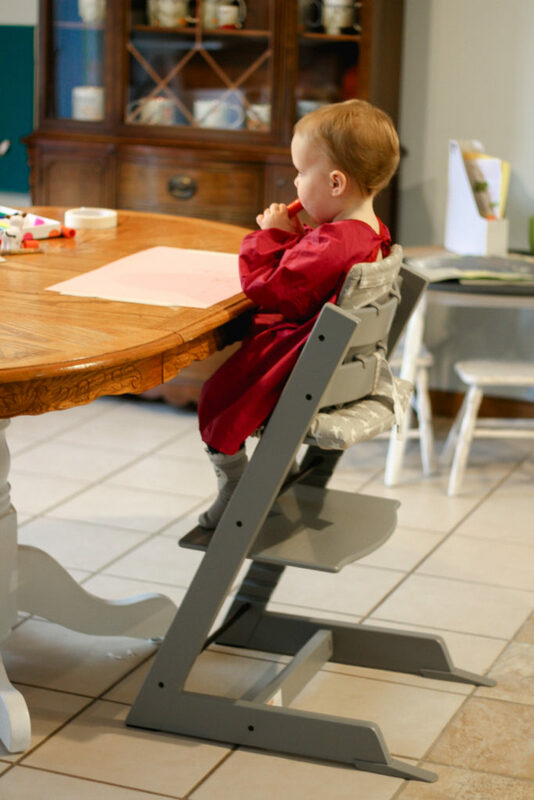 An infant, toddler, and adult can all find a perfect fit up against any table with the adjustable seat and diagonal design. 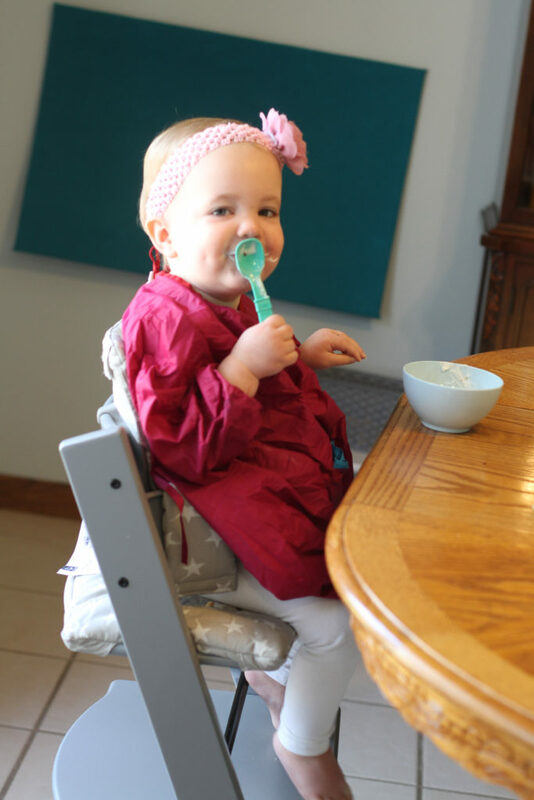 We love having our children at the table and using our Stokke chair for meals, crafts, games, and baking. 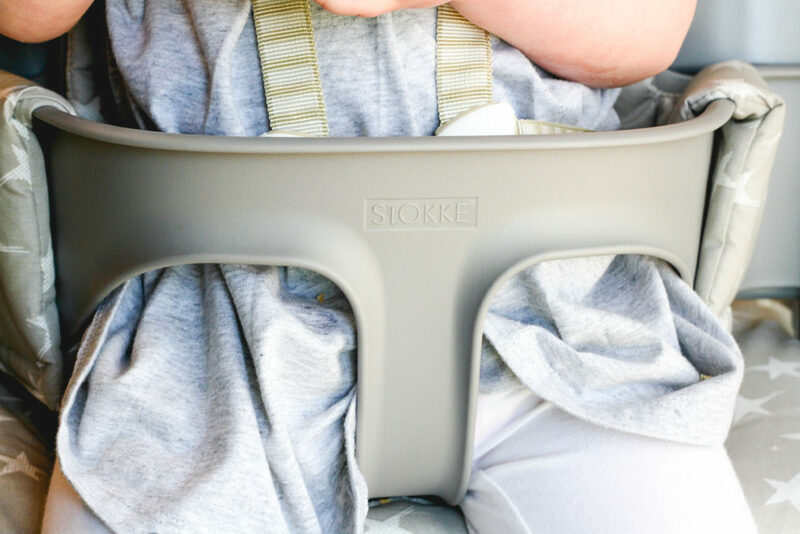 Any little one can find maximum comfort by having the perfect height and depth combination with the adjustable seat and footplate. The goal is to promote correct body alignment for a seated child by getting their feet to rest squarely on the footplate. 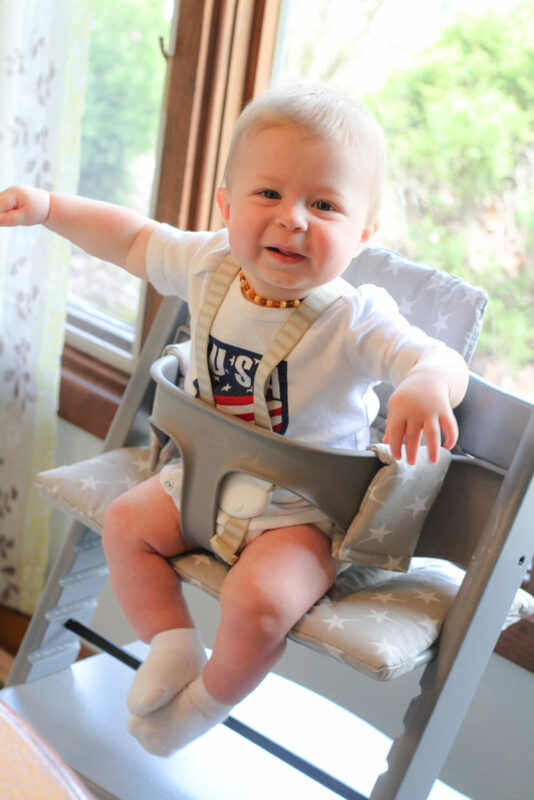 A 6 month old and 60 year old can both find the same comfort and support in the Tripp Trapp Chair. 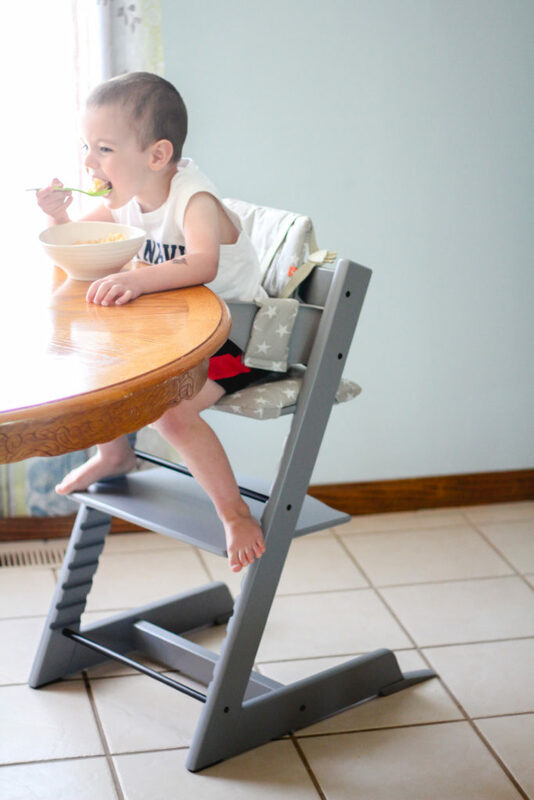 I love that my 3 year old can easily climb onto this chair and be at the perfect height to reach his food. 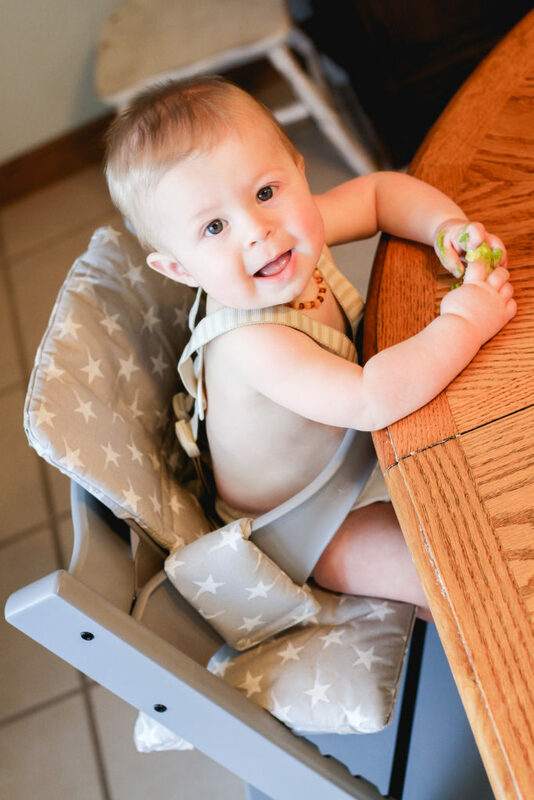 My 6 month old nephew can be supported and secure in the Tripp Trapp and still have the benefit of eating at the table with the family. And I actually love using this chair when I am sewing! I adjust the seat so that my foot rests perfectly on the sewing pedal. The leveled seat and angled backing supports my postures and prevents me from hunching over. It is encouraging to know that once my kids eventually stop using this chair it can still find use in our home. I truly appreciate the ingenious design of the Tripp Trapp Chair! We use to have a lot of chair battles with our kiddos. My 3 year old son liked to push against the table with his hands and consistently got disciplined for sitting on his knees. My 18 month old daughter liked to push against the table with her feet and watch me have a panic attack. The concave design of the chair back helps me scoot my kids’ lower half under the table; preventing their legs from escaping. 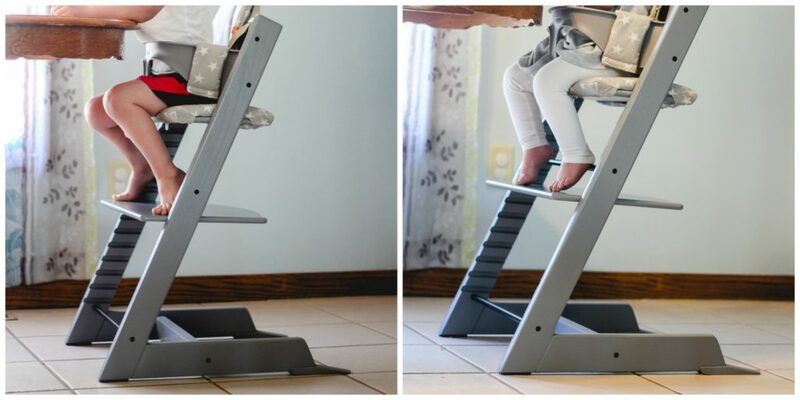 The Tripp Trapp chair extender gliders provide increased backward stability. Meaning pushing, rocking, and backward arching isn’t going to tip this chair. Our first dinner using the Tripp Tripp my daughter was being ornery and pushed the table with her hands to try and rock backward. Her chair scooted away from the table and didn’t rock in the slightest bit. I was amazed and my daughter was defeated and frustrated her little “trick” only made her food unreachable. 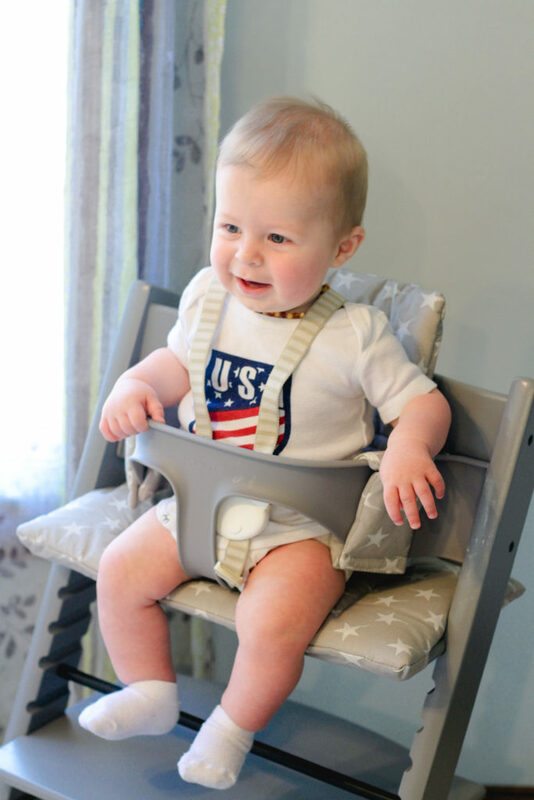 Also included with the Tripp Trapp chair is a 5-point harness. 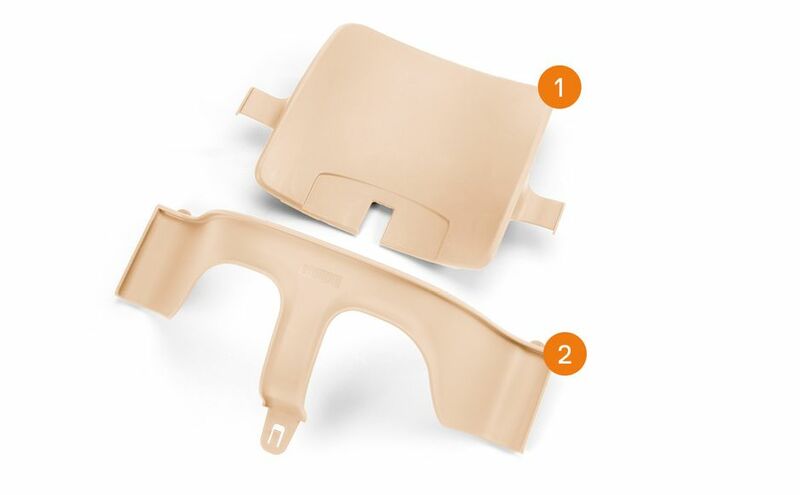 The straps are durable and very easy to clean. 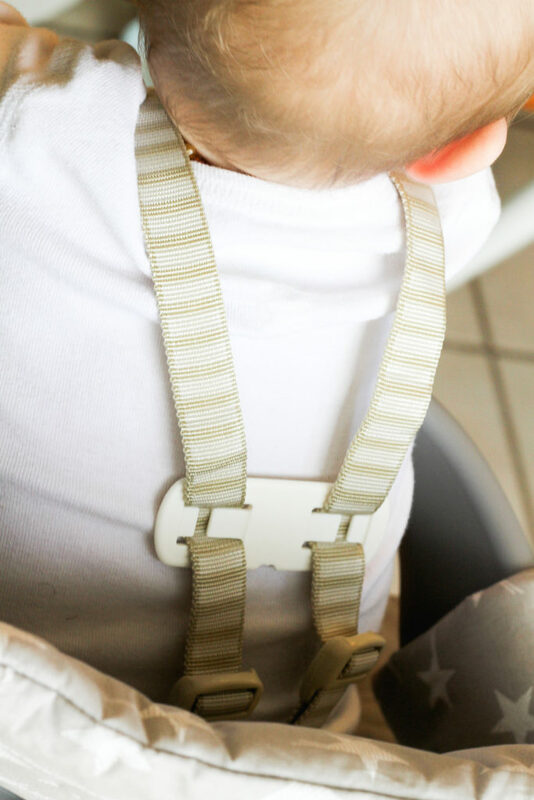 The back of the straps includes a fastener that can be adjusted to keep the straps from slipping off baby’s shoulders. My 6 month old nephew felt very secure strapped in and my 18 month old could not escape. Yes! My favorite part of this high chair! I had a fancy chair with a cushion for 2 months. 2 MONTHS and then I gave it away! Personally I thought it was the dumbest baby product in our home. Even with a toothpick and toothbrush I couldn’t completely clean the cracks and crannies of our highchair, which resulted in mold! The Tripp Trapp Chair is pretty straight forward when cleaning. The solid beach wood is easy to quickly wipe down with a wet cloth and there is no place for food to hide. I am confident our chair is clean and there isn’t dingy food bits wedged in crevices waiting to mold. 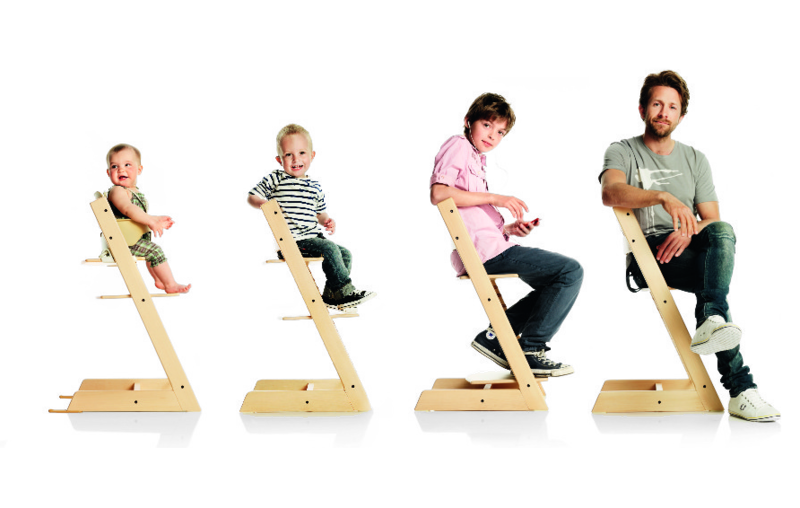 Check our the variety of woods and colors the Tripp Trapp Chair comes in. You can easily find a chair that accents your kitchen, matches your dinning set, or is a bold vibrant pop of color in your house. 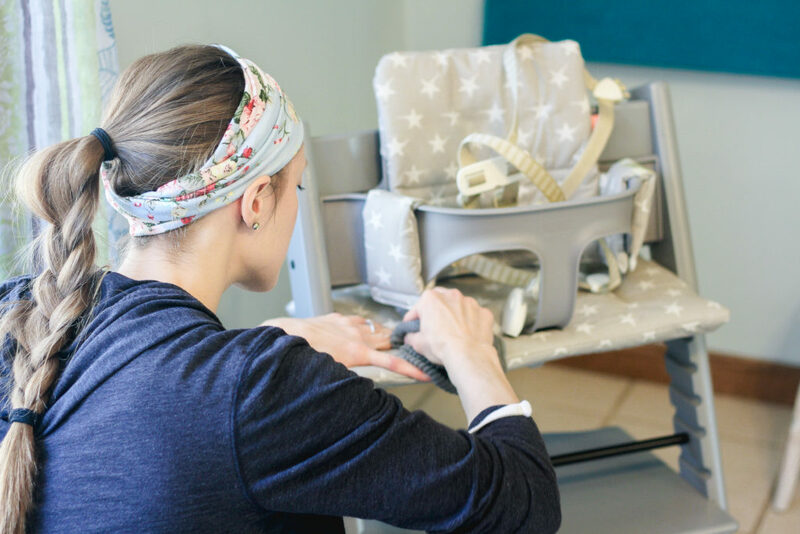 One accessory you can buy for your Tripp Trapp Chair is the baby set. 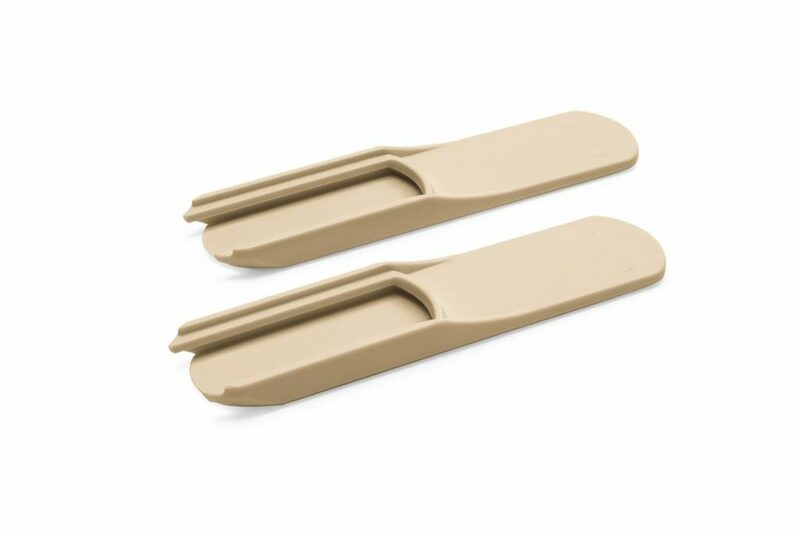 The environmentally friendly plastic accessory easy attaches to any Tripp Trapp chair. The set was made to support children from 6 months to 3 years. For my newly sitting 6 month old nephew, the hi-back and seating rail supported him from loosing his balance. He was able to sit at the table without the risk my face planting into our oak table top. He was certainly happy to be sitting at the table with his older cousins. Although my 3 year old does not need the baby set to sit securely in the Tripp Trapp chair I appreciated he can fit in it. We have the baby set on our chair to keep my 18 month old safe and secure. My son eats multiple snacks a day while I work, clean, or tend to his sister. He thinks it is awesome to sit in her cool chair while I appreciate the assurance of his safety while I am multitasking. With the baby set my son can’t get down without my help, he can’t sit on his knees, he can’t fall off a chair, and he can’t tip the chair back. 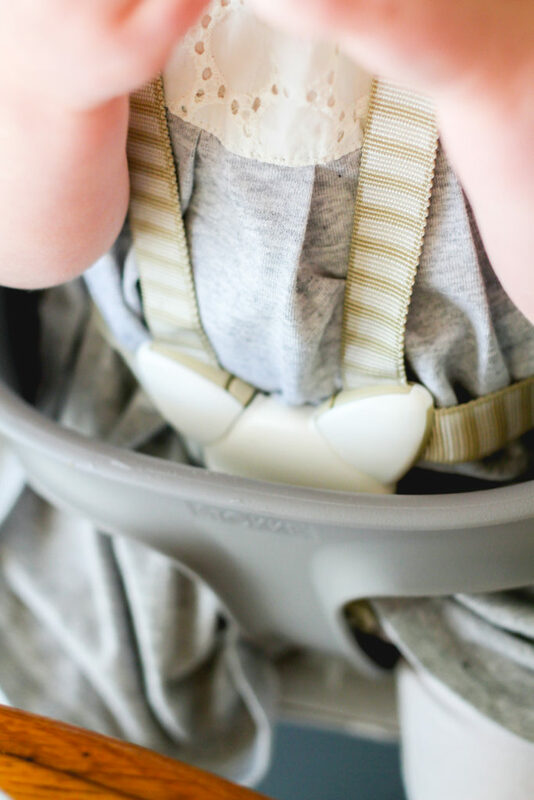 So if you have multiple little ones under 4 you can use the Tripp Trapp with the baby set without having to remove baby set to fit the older ones. 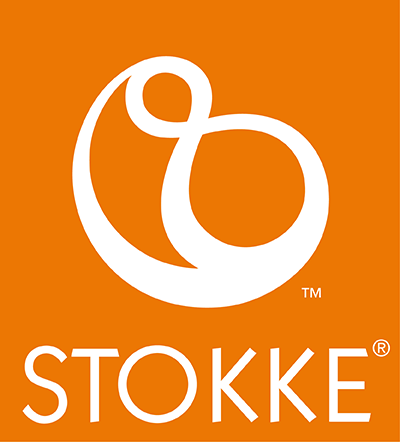 For an extra splash of style and comfort Stokke makes cushions for the Tripp Trapp chair. 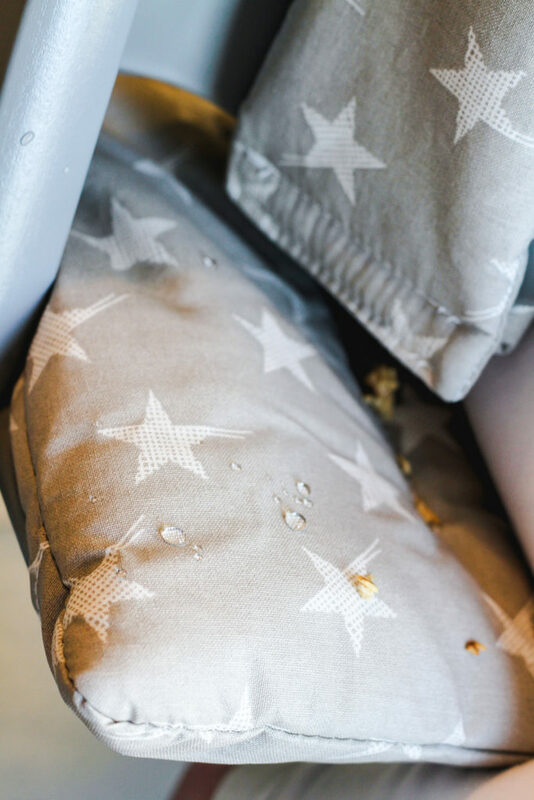 These lush comfort cushions prevent babies from slipping down during meal time and provide extra support on little backs from 6 month to 3 years. The 100% polyester material comes in a variety of colors and patterns. 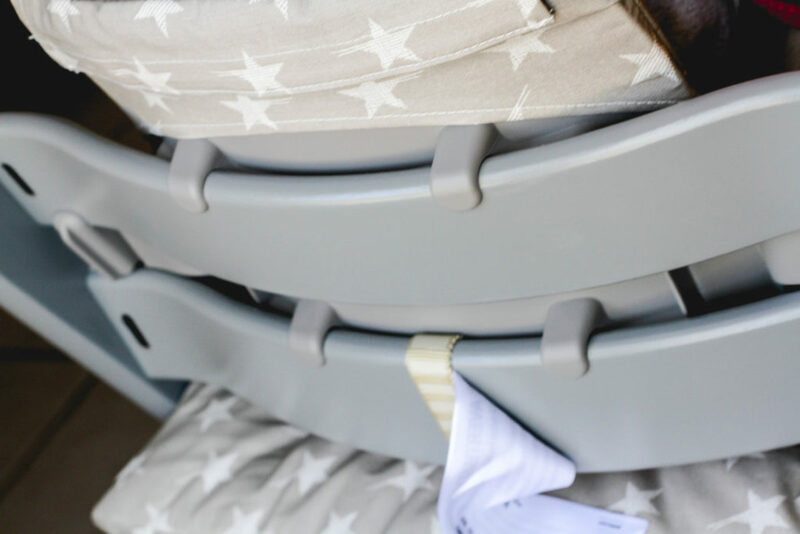 We loved our cushion was able to to fit on the baby set as well as directly onto Tripp Trapp chair. The versatility and durability make it a practical addition to our chair. My sister was completely impressed when she started to wipe down the cushion after her son “ate” an avocado. Everything cleaned up perfectly without staining or scrubbing. I personally loved how waterproof it felt as my daughter dumped her cup on herself. 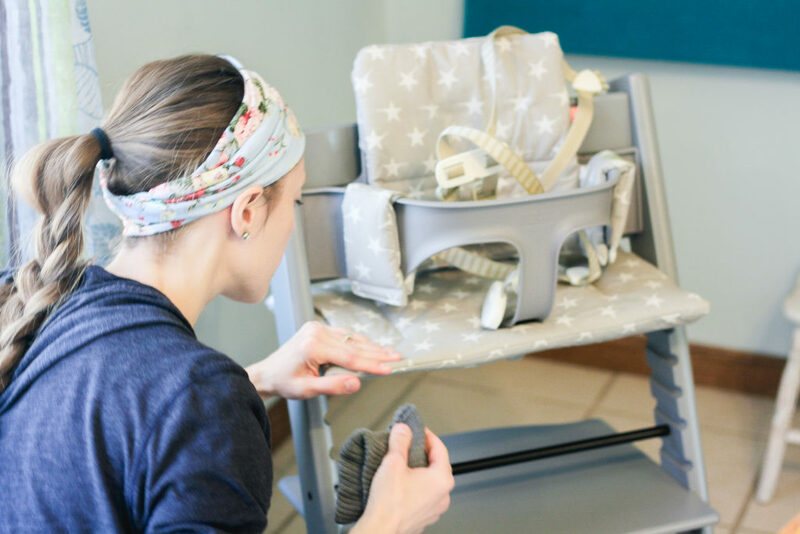 Baby can be ready to sit back on the cushion without having to let it dry, which also means the inside stuffing is safe from molding. 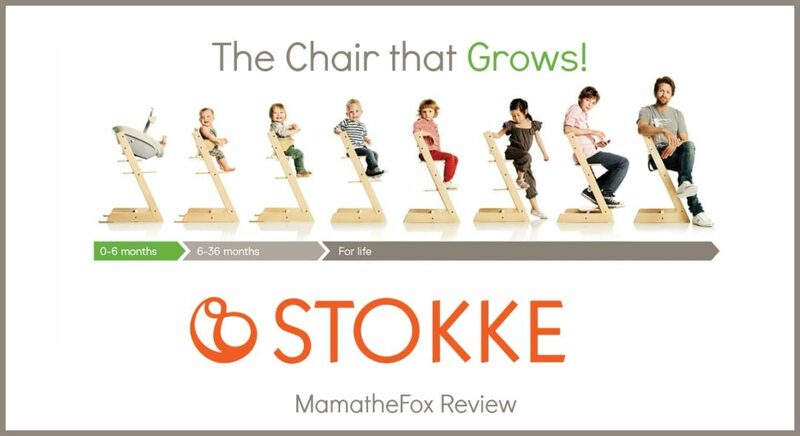 If you love the ingenious deign of the Tripp Trapp Chair then chances are you will love Stokke’s other baby products as well! We hope you have a beautiful Mother’s Day and you get spoiled on this special day! Heres to many more years of wishing for clean floors and geeking out on baby products!